Whether you’re studying for an advanced degree in taxation or finance, or you have an interest in economics, some fundamental concepts are essential to understanding the role of taxation in any economy. These principles go deeper than deductions and tax rates, and they address questions of why taxation is essential to society and how it is best implemented. Discover these core tax concepts you should understand. 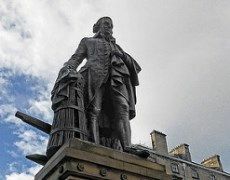 In 1776, Scottish economist and philosopher Adam Smith published An Inquiry Into the Nature and Causes of the Wealth of Nations. The title is commonly shortened to The Wealth of Nations. Writing for Investopedia, Andrew Beattie suggests that, for some people, the work was the most important document published that year, even more so than the U.S. Declaration of Independence. Smith’s Canons of Taxation are among the now-famous concepts introduced in The Wealth of Nations. The first of Smith’s canons concerns the idea that everyone should bear their fair share of the tax burden. Economists can interpret this to mean a proportionate share, not an equal amount of tax. The canon is essentially an argument in favor of the current system of progressive, not flat, taxation in the U.S. The second canon states that the amount of tax levied should be certain, not arbitrary. This can be interpreted to prevent corruption in the tax system by ensuring that taxpayers can be certain of the amount of tax they will owe. This also allows the government to know how much tax it will collect and plan for future resource allocation. The third canon relates to making tax payment convenient, both to avoid unduly burdening taxpayers and to increase the likelihood that taxpayers will pay the amounts they owe. The final canon suggests that the cost of collecting taxes should be minimized wherever possible to maximize the government’s ability to put tax revenue to use in ways that benefit the public. While many different types of tax exist, all taxes can be classified as either direct or indirect. As explained on IRS.gov, direct taxes are those paid directly to the government by a taxpayer, such as state and federal income tax. Indirect taxes are those that can be passed on to another party, as in the case of a retailer increasing prices to cover the cost of taxes on imported goods. Understanding the different reasons that an individual or organization may not pay taxes is important. The Internal Revenue Service (IRS) can grant tax-exempt status to certain types of organizations, such as religious, charitable and educational groups. A taxpayer may also practice tax avoidance, which is a legal means of minimizing one’s tax burden. Common methods of tax avoidance include taking itemized deductions or making an allowable financial gift to a relative. Tax evasion, however, involves breaking the law to avoid paying taxes. Evasion is a form of tax fraud and may result in significant fines or incarceration. After receiving your Master’s in Taxation or LLM in Tax degree, your career in tax law may focus on one of several areas of specialization, such as corporate law, estate planning or income taxation. No matter where you focus, these core tax concepts are integral to understanding your chosen field’s foundations.